"The Voodoo who do what you don't dare do people"
I hope that you've had a great weekend! 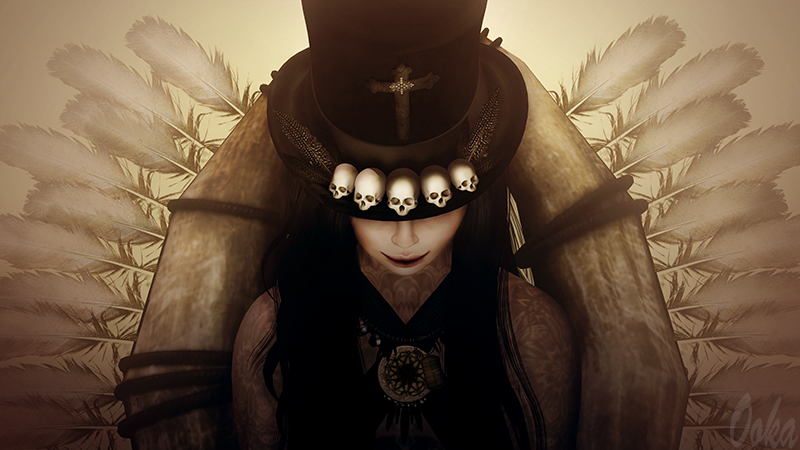 The hair and hat are by Tableau Vivant, they have a male version which I might be wearing because it has more skulls >.> and a female version that has roses, feathers and skulls! Her eyes are from Fantasy Collective as well! They are by Buzz and there are a few different colours and looks to choose from! You can also find her necklace at this round, it's by Enfant Terrible, they have two sets, the one that I have on has engraved "Witch Please". 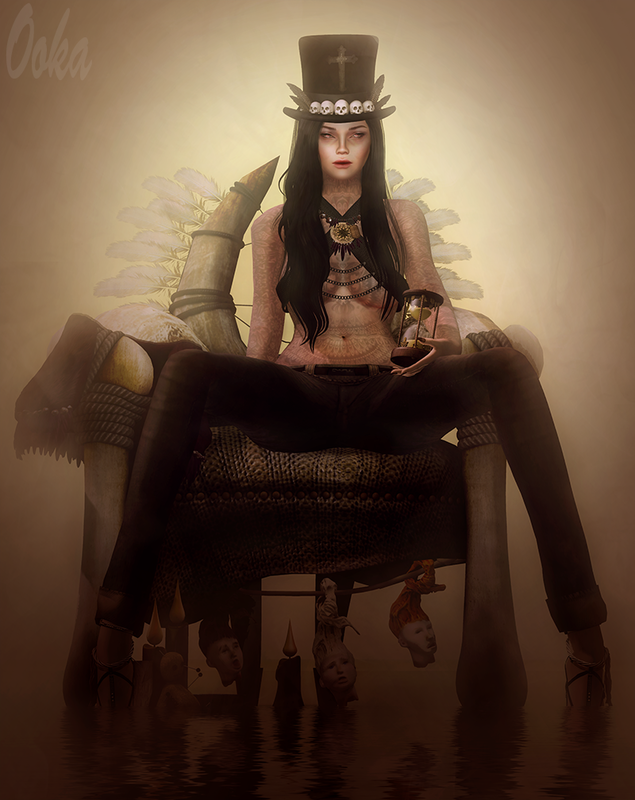 The heads on a rope that are hanging on the bottom of my chair are by [NU] and are for this round of Enchantment! Her makeup is also for this round of Enchantment, it's called Unhealthy Glow and is by Nox. Loving the tired and worn out look that it gives. Have fun and happy wanderings!